The much talked about report by the Committee on Public Enterprises or COPE on the irregularities that are alleged to have taken place in the issue of Treasury bonds by the Central Bank from February 2015 to May 2016 was presented to Parliament on 28 October 2016. These irregularities have been popularly branded by the media as ‘bond scams’, ‘bond scandals’ or ‘bond fiascos’ implying that they have helped one party to profit at the expense of another. The party reported to have benefited had been a primary dealer in government securities, namely, Perpetual Treasuries, which had started its business in February 2014 and went into making a gigantic amount of profits, according to published figures, within a matter of just 27 months. Those who had lost in the process are numerous in number, but the main victims have been the Treasury, EPF, other primary dealers and finally investors at large. Since there was a public outcry that these scams or scandals or fiascos should be properly investigated in order to ascertain the person or persons who are responsible for them, the Parliamentary watchdog, COPE, went into action after the new Government was formed in August 2015. Prior to the present exercise, there were two other investigations done on the first bond scam that took place in February 2015 and another on the first as well as the subsequent bond scams. One was by a committee of lawyers headed by Gamini Pitipana and appointed by the Prime Minister. The other was a subcommittee of the previous COPE headed by its Chairman, Parliamentarian D.E.W Gunasekara. The first report was duly submitted to the Prime Minister and it is now available in the public domain. The COPE subcommittee report did not see the light of day since Parliament was dissolved by the President before it could submit it to Parliament. Though this report was not officially released, a draft copy has been leaked to the media and is available in the public domain. The third report was done by the Auditor General on the direction of the present COPE on the alleged bond scams from February 2015 to May 2016. The current COPE report has presented the first and the third report in an annexure so that they are now officially available documents. While the present COPE report was being prepared, a confidential draft onsite examination report done by the Central Bank’s onsite examiners on the controversial primary dealer, Perpetual Treasuries, was leaked to the media. A review of the implications of this leaked report was discussed by this writer in a previous article in this series earlier. The COPE does not appear to have benefited from the findings in this report, since the Monetary Board which had not accepted its existence officially had not submitted the same to the COPE. However, a subsequent press release by the Monetary Board had indirectly accepted its authenticity when it said that there was no authorisation for anyone to release it to the media. The fallout from this indirect admission was analysed by this writer in an article published in this series earlier. Hence, in order to appreciate the implications, gravity and nature of the bond scams in question, one has to read all those five reports together: the Pitipana Report, the aborted COPE subcommittee report, the leaked onsite examination report, the Auditor General’s report and finally, the present COPE report. The combined story narrated by these five reports is pathetic, frustrating and alarming. It tells the story of how good governance and economic democracy, promised to people at both the Presidential election and Parliamentary elections, have been vindictively denied to them through a series of orchestrated cover-up operations. COPE was created in the late 1970s by Finance Minister Ronnie de Mel by carving out the functions relating to public enterprises that had been entrusted to the Public Accounts Committee, the Parliamentary watchdog that existed since independence. The objective of COPE was to specialise itself in its job of assessing the performance of the public enterprises and report back to Parliament on losses, malpractices, irregularities and improprieties of such enterprises. Hence, it is not expected to operate on party lines though its representation is basically determined on the party strengths in Parliament. Once appointed to COPE, members have to shed their party affiliations and conduct their examinations objectively, impartially and independently. For technical matters, they are also being supported by another watchdog of the republic, the Auditor General, who functions as the third eye of both the executive and the legislature. COPE members, therefore, serve not the party they represent, but the people who have been promised good governance and economic democracy. This is the social contract they have signed with people. Though COPE has submitted a single report regarding the Central Bank’s bond fiascos, according to its Chairman, it has to be read as two separate reports. One is the main report without footnotes, signed by 16 out of 26 members, all representing parties other than UNP. The other is the main report with footnotes signed by nine members belonging to the UNP. However, all 25 members have agreed to the recommendations made in the main report. Thus, footnotes appear to have been inserted to qualify the analysis done in the body of the report or provide counterviews on the same warranting further examination. It, therefore, testifies to the fact that COPE members have arrived at their decision after engaging themselves in a vibrant debate or discussion. There is nothing wrong in doing so since the truth can be found not by agreeing but by exploring, probing and questioning the accepted view. If decisions are made by any social group without following these steps, it is likely to build a group of ‘intellectual slaves’ that would not augur well for the continued existence of that group. Obviously, COPE is not expected to build such a group of intellectual slaves. Hence, the critical approach by COPE members to issues before them is praiseworthy. In this writer’s view, the footnotes presented by the disagreeing group of COPE members could be classified into four main categories. In the first place, some footnotes have further clarified the observations in the main report and therefore they have not changed its context. Second, some have presented an alternative view implying that COPE should go for further inquiry before making a final conclusion. Third, some footnotes have strengthened the conclusions in the main report. In fact, some of the footnotes in this category have made stronger suggestions than the main report. Fourth, some contradictions in the footnotes have weakened the arguments made by this group. Footnotes 1 to 13 and those from 15 to 18 have provided further clarifications and therefore, as mentioned above, have not changed the thrust and context of the main report. In fact, they have added additional value to the main report. The main alternative views have been presented in footnotes No. 14, and from 19 to 25. They pertain to the position of the Monetary Board with regard to the continued use of private placements for raising funds from 2008 onward and the methodology used for calculating the loss by the Auditor General. The dissenting group has claimed that there had not been any evidence that the Monetary Board had approved of the use of direct placement with EPF and other captive sources and with other primary dealers after 2009. It, therefore, suggests that a thorough investigation should be made in order to ascertain whether there had been any loss to the Government as a result of the overwhelming use of direct placements during 2009-14. This is a fair enough suggestion because any doubt has to be fully investigated. But since the direct placements had been made at the weighted average interest rate pertaining to the auctions concerned and the system is usually approved every year by the Monetary Board when it approves the forthcoming year’s borrowing program, it could be concluded a priori that there cannot be any loss to the Government or illegality in the practice. Further, when the Board has approved of the use of ‘other captive sources’, it invariably meant the use of primary dealers since these other captive sources like ETF or insurance funds have to necessarily come through a primary dealer. Apparently, this latter information may not have been provided to COPE for otherwise it would not have made this observation. With regard to the loss calculation, the dissenting group has opined that such loss calculations have been made under very specific assumption that direct placements have been the order of the issue rather than exception. But, this has been the case throughout and, as mentioned above, had got the Monetary Board’s approval continuously. Hence, it is difficult to fault the Auditor General for making that assumption when he calculated the losses. The footnote No. 30 has contradicted itself. It has sought to dispute the observation in the main report that it was illogical for the Public Debt Department to fix the coupon rate for the 30-year bond to be issued on 27 February, 2015 at 12.5% when the secondary market yields of a bond of equal maturity had been between 9.48% and 10.01%. What it meant was that a Rs. 100 bond carrying a coupon rate of 12.5% was being traded in the secondary market at prices ranging from Rs. 125 (price relevant to a yield of 10.01%) to Rs. 132 (price relevant to a yield of 9.48%). The argument in the main report had been that the coupon rate could have been fixed close to these rates so that the Government would not have to pay interest at the high rate of 12.5% for over a 30-year period. The footnote 30 had clarified that fixing the rate at 12.5% had been done by the Public Debt by using an equation after making a market survey. But the secondary market yield for a 30-year bond had been, according to the footnote, at 10.14%, which is pretty much close to the upper rate reported in the main report. It also translates to a market price of Rs. 123 per Rs. 100 bond vindicating the observation in the main report. Footnotes 29 and 33 have made suggestions even stronger than those contained in the main report. The footnote 29 has suggested that the investments by the EPF during the last six-year period should be fully investigated since there have been accusations that such investments have resulted in losses to the members. This is a demand made continuously by civil society activists but has fallen on the deaf ears of authorities. Hence, what has been suggested in the footnote 29 should be implemented promptly. This is in addition to the investigation, suggested in the main report, of losses to EPF due to its not bidding at certain primary auctions and buying bonds at high prices from the secondary market during 2015-2016. Footnote 33, while highlighting the limitations of the Auditor General’s report as revealed by the AG himself, has come up with a very strong set of recommendations further strengthening the recommendations made in the main report. It has found fault with the Central Bank for not submitting full and accurate information to the Auditor General to enable the latter to overcome the limitations in his study. There should be a complete investigation of the bond issues to ascertain the losses to the Government during 2008-2016. The Auditor General should be empowered to investigate the operations of even private entities that operate in the primary dealer market. All officers in the Central Bank who are involved in the debt issue are culpable for the bond scams in question. The inside information relating to the bond issue on 27 February 2015 had been known to many other than the primary dealers. One such instance is a Central Bank officer trying to invest his private money at a high interest rate at the last minute to take advantage of the previous Governor’s decision to borrow more from the auction. The footnote has opined that Perpetual Treasuries had had access to inside information in the Public Debt Department. There are ‘rogue rings’ operating in the government securities market involving primary dealers, Central Bank offices, officials in EPF and BOC to take undue advantage from the market activities. This should be prevented as early as possible. Information has not been made available to all the primary dealers in the bond auction on 27 February 2015. The Tender Board that determined the auction on this date allowing Perpetual Treasuries to get 50% of the total amount issued is also guilty of negligence. Perpetual Treasuries has bought bonds amounting to Rs. 29 billion by borrowing from the Central Bank in March 2016. This should be fully investigated. The dissenting group has admitted that there have been bond scams during February 2015 to May 2016. 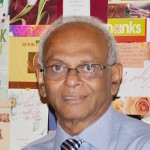 However, through footnotes, it has tried to question the conclusion in the main report that former Governor Mahendran had been directly involved in those scams. But it has admitted the former Governor Mahendran’s culpability directly as well as indirectly. The direct admission has been its acceptance of the conclusion in the main report that Governor Mahendran has been directly responsible for the bond scam of February 2015. The indirect admission is when it has concluded that it is the Central Bank officers, including the Tender Board members, who are responsible for the alleged bond scams. This is because of the specific provisions in Section 21 of the Monetary Law Act regarding the responsibility of the Governor. The particular section says that “the Governor shall remain and continue to be responsible to the board for and in respect of any act or thing done or omitted to be done by any such delegate” of responsibilities to other officers of the bank. Hence, for any misdemeanour done by Central Bank officers regarding the bond scams, it is the Governor who is responsible. This is the practice followed in other Central Banks as well. Governor Artiur Rahman of the Bangladesh Bank tendered his resignation promptly taking responsibility for the loss of funds as well as the reputation due to a hacker penetrating the computer system of the bank and transferring foreign reserves illegally. Governor Raguram Rajan of the Reserve Bank of India who had earlier expressed his willingness to serve another term immediately announced that he would not seek reappointment when a Government party politician questioned his loyalty to India. Though the COPE Chairman has said that it is two reports, one without footnotes and the other with footnotes, it is clear that it is a single report that had been submitted by 25 members of COPE.